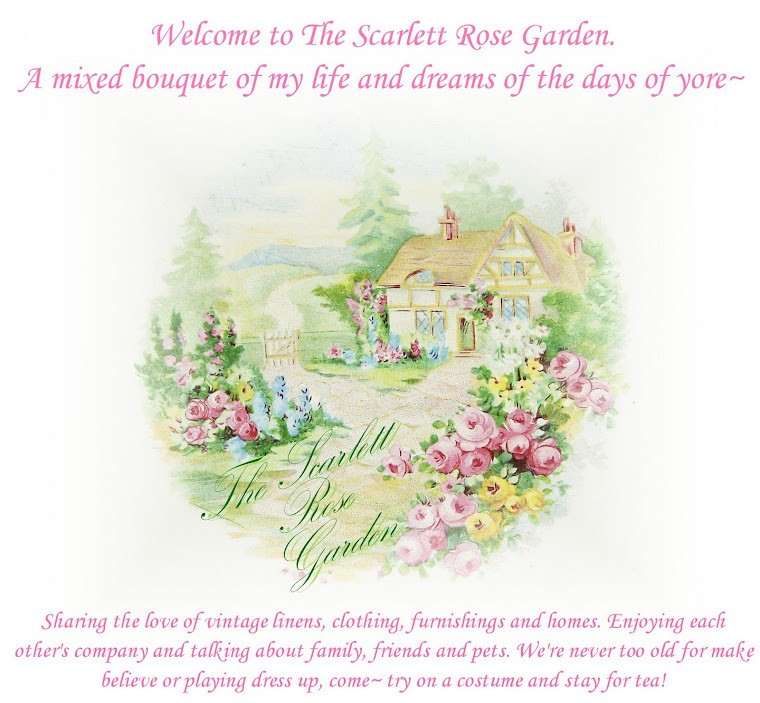 The Scarlett Rose Garden: Back from Neverland! WOW, last night was so nice! We got to actually show off our costumes instead of having to wear a coat or use an umbrella, woohoo! Peter Pan was quite ready to go trick-or-treating! Ahhh, who's this with the video camera lurking behind the plant?! Why, it's Captian Hook! Most of our costumes were eBay finds. I did make friends with my sewing machine, and added lace to the Captain's jabot and cuffs. I cut off a pair of Kevin's dress pants and put in elastic for knickers. Nova and I are wearing *pixie* dust but you can't see it in the pics. Nova was pooped. He didn't want to take off his costume! I hope your Halloween was spook-tacular too! I'll post more about costume details later! Have a great weekend! You all look great! What a great Wendy you make! My M.A. pics are up. Oh I love you all, how fabulous !!! You never cease to amaze me.....a theme....I love it!!! I wish I would have thought of something like that when my children were still young....oh, well, one year we DID go at a family of DUCKS!!! I love your hair!!! The use of Tinkerbell....just took it over the top!!! I want to be you when I grow up, k? Oh, those costumes are fantastic! That's so neat to have a whole family with a theme! You all look perfect. Adorable! I think it's great that your husband goes along with your ideas. What a trooper! You all are so cute! I wish you had wandered over to our neck 'o the woods. We had less than 30 kids this year. Couldn't believe it, with the wonderful weather. I'm glad you had great weather, and that Nova had FUN!! How cute! Nova is darling in that costume! I love all of your costumes! You look so sweet as Wendy! I bet you got a lot of comments on your costumes! Oh, how cute that the whole family gets involved in the costume fun! You guys are the most theatrical family! You could do a play! Good Job! That is probably the cutest thing I've ever seen. Your family=the coolest on the block! Y'all look precious....I bet you all had a fun night! How utterly clever to put Tink on his shoulder! 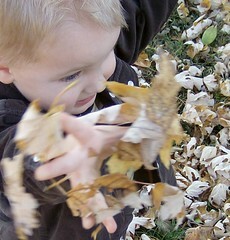 I am now addicted to your blog. Too cute! What a terrific idea. Looks like all of you had great fun. Great costumes! And the hair...gorgeous! It really made your costume come to life. Love it! Thank you for sharing this link! Love your costumes. We've decided that Peter Pan will be our theme this year. Love wendy's hair, and your attention to detail. I'm a bit sad that I missed the WOO party because that was our theme for last Halloween. Just think it's a little funny that we did the same think but opposite. You've a darling blog and family.